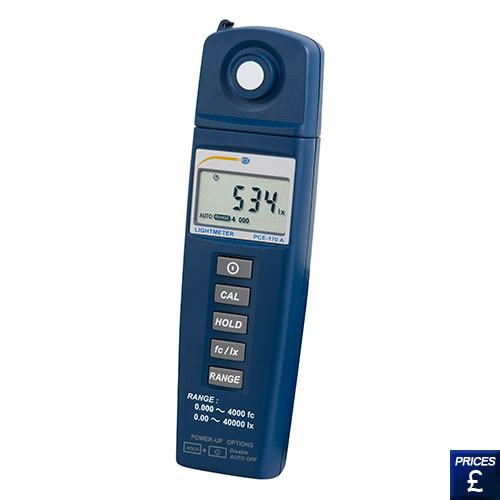 The PCE-170A Lux Meter is well-known for its durability as well as its good quality at a good price. The Lux Meter has a wide measurement range. Thanks to its fast response time and compact housing you can use this meter with just one hand. The Lux Meter can be used even by inexperienced personnel. With the Lux Meter you will be able to perform a professional valuation. The lux meter can be widely used within the industrial sector. 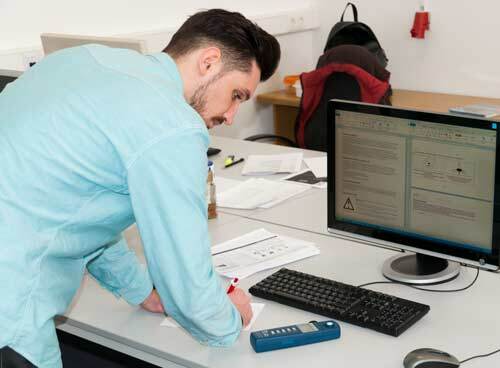 For example, it is possible to check light conditions in workplaces, warehouses, industries and apartments with the PCE-170A Lux Meter as well as to check light in emergencies. The Lux Meter is an irreplaceable instrument to prevent occupational hazards and it meets the standards. Workplaces will become safer and you will save the expenses. Latest research has discovered that too little as well as too much illumination in a workplace can be harmful for humans. You can also check illumination at home, in your dining-room for instance. The digital Lux Meter measures in Lux units (lumen/m² or lumen/foot²). 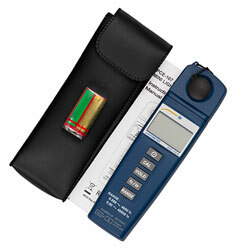 This solid and portable lux meter provides very accurate results and comes with a zero-reset function when it is on. It also has a sensor with a response curve for all the visible spectrum. Light is measured by means of a silicon photodiode independently from the extension and direction of the light source. 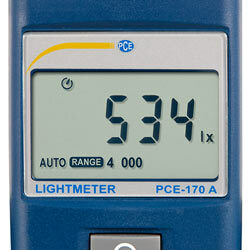 The PCE-170A Lux Meter is irreplaceable due to its fast measurement method. If you wish to see another lux meter with internal memory, data cable and software to transfer data to a PC, please click here. - Auto shut-off after 30 min. 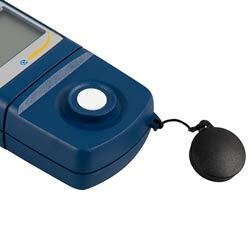 The lightness meter PCE-170A with integrated sensor for fast and reliable light measurement. An ISO certification consists of a laboratory calibration and a certificate according to the ISO standard. The document shows the name of the company or customer It can be ordered with the device or as an annual recalibration.